This top literally screams, 'Business in the front, party in the back!' ;) I am always a fan of open backs, so when I saw this MakeMeChic blouse I fell in love! 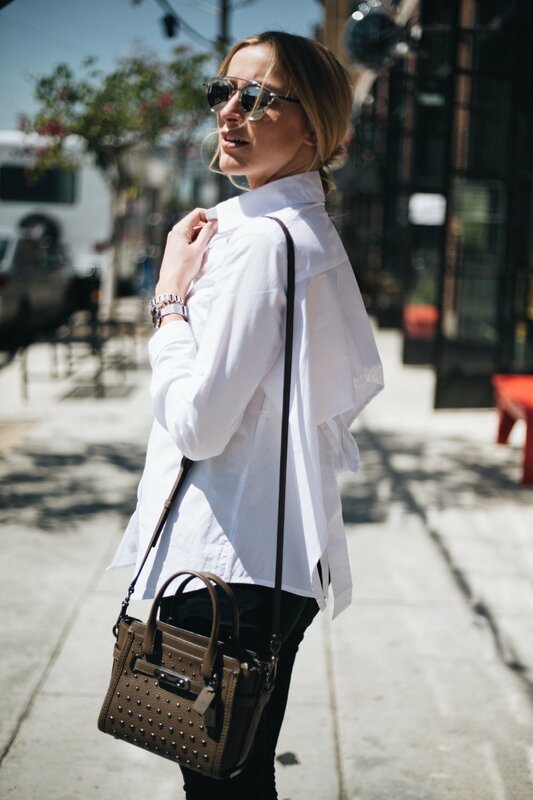 The front is classic and looks like any other white button up, so when you see the back it is such a fun surprise! It has just enough fabric at the top of the back to be "bra-friendly," but then opens to show a little skin and holds itself together with a cute bow. 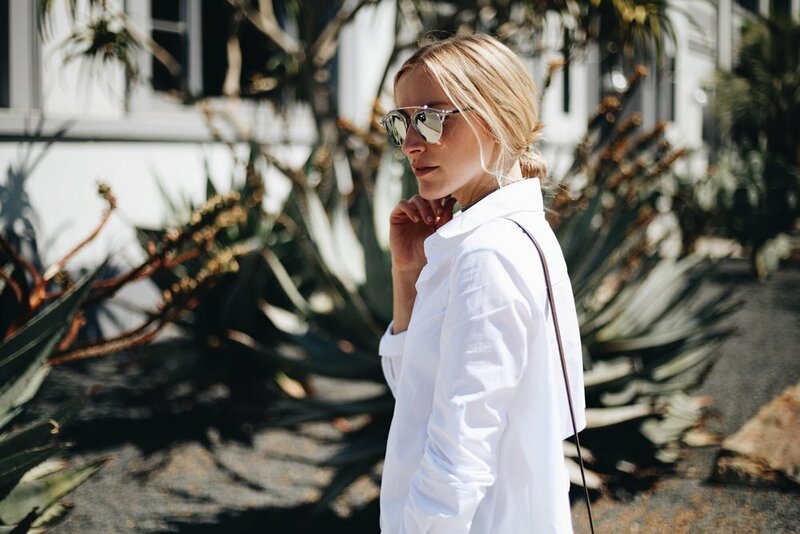 It's not too much or over the top by any means, and is such a cool update to your average button up blouse. I wanted to keep my look fairly simple, so I paired it with some black Urban Outfitter skinnies, my strappy BCBGeneration wedges, and carried along my new studded Coach Swagger handbag. Coach is one of those brands that I have always loved and I'm sure I always will... they are timeless. And lately they have been killing the game with a lot of new, fun and spunky styles + advertising. Their Spring 2017 collection is to die for and I was so excited to partner with them this season! I am loving my studded crossbody, and I know I will get a lot of use out of it because it is so versatile.